This business plan for the establishment of a bridal boutique does an excellent job of assessing area competition. The detailed analysis of both the strengths and weaknesses of rival businesses effectively illustrates the need for a high quality and reasonably priced bridal salon in the region. It is also apparent that this entrepreneur is aware of fashion trends and receptive to customers' needs. The inventory will consist of wedding gowns, bridesmaid dresses, headpieces, crinolines, jewelry, shoes, party dresses, more casual dresses, and tuxedo rentals. I will run the business myself full-time and hire sales assistance as well as a bridal alterations specialist. The store has the potential of employing up to six full-time employees, estimating a minimum of three to start. The hours will be 10:00 a.m. to 5:00 p.m. Monday through Saturday, with evening appointments available for brides and their parties. All daily bookkeeping will be done by me. An accountant will take care of the necessary month-end work. Megan's Bridal Boutique will be located on Hubbard Drive. I'm currently negotiating a lease on a very nice property of 1725 square feet. The rent on the space is only $435 per month plus approximately $250 per month for utilities. This is a good price, compared to other less desirable locations I've looked into. I plan to invest $5,000 in building renovations to meet the special needs of a bridal salon. The renovations will be free-standing and can be taken with me to another location if need be. Megan's Bridal Boutique will open in mid to late October. Description: This line will consist of re-orderable wedding gowns, re-orderable headpieces, dyeable satin shoes, crinolines, re-orderable bridesmaid gowns, and jewelry. Megan's Bridal Boutique will carry 60 wedding gown samples featuring three manufacturer's lines (20 pieces at $200 wholesale, 20 at $300, 20 at $400, for a total start-up cost of $18,000). Three brands of bridesmaid gowns will also be carried with 12 samples per brand offered (36 pieces at $100 wholesale for a total start-up cost of $3,600). One headpiece line will be made available with 15 samples in the store (at a median price of $50 per piece wholesale for a start-up cost of $750). These items will be special order only items. A full range of sizes of basic dyeable shoes, in three heel heights, will be available in the store for off-the-rack purchase (30 pair of each style at $12 each wholesale for a start-up cost of $1,080). A catalog of other styles will complete the offering. Megan's Bridal Boutique will also carry full-length crinolines of all sizes, for purchase only (20 pieces at $15 each wholesale for a start-up cost of $300). Crinolines will be available free of charge for use in the dressing rooms for clients purchasing wedding or bridesmaid gowns or needing them for in-store alterations. In addition, a line of off-the-shelf jewelry will be carried and special order jewelry catalogs will be available (30 pair of earrings and 30 necklaces at $15 each wholesale for a start-up cost of $900). Position of Marketplace: The items in the bridal line will consist of basic styles in the low to mid-price range appealing to the Wisconsin client. Megan's Bridal Boutique will develop a reputation for dependable service, fair pricing, and reliability. Client Demographics: Some women will travel all over the state, or farther, to shop for their wedding gowns. The majority of Megan's Bridal Boutique's clients will be limited to the areas surrounding Green Bay. Nine out of 10 women eventually marry although, in general, they are waiting later in life to marry for the first time. Remarriages account for half the weddings taking place nationally. Sixty percent of couples currently living together will eventually get married. What all this means is, although one would think the economy, general trends, and changes in society would have a great impact on marriages, there has been only a 1.5% change in marriage rates over the past 27 years. Where the economy does have a big impact on weddings seems to be generally limited to reception and honeymoon expenses, with a lesser effect on the dollar amount spent on wedding gowns and accessories themselves ( Vows, June/July 1996 issue). According to a recent published study, eight marriages took place per 1000 residents per year. Based on the surrounding area of eastern Wisconsin, Megan's Bridal Boutique will draw from, one can count on 1,888 weddings per year. Each of these couples will spend, on the average, $852.00 for a wedding dress, $167.00 on a headpiece, and $50.00 for shoes. 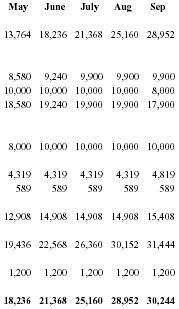 Estimating four attendants per wedding, spending $175 each on dresses and shoes, an additional $1,321,600 can be added. Added together, there are $3,339,872 dollars to be captured in this line alone, per year, in eastern Wisconsin. 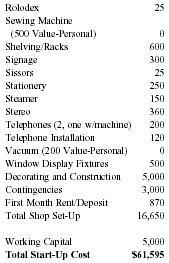 Cost: $24,630 start-up inventory cost. I have broken down the competition, product line by product line, following each line's inventory description. The overall competition for the bridal line can be broken down into two: local shops (Mary Ann's) and regional shops. I feel the threat created by Mary Ann's can be easily overcome through good service, great selection, and affordable pricing. The competition created by the out-of-town shops will be harder to address. Details of how I will deal with each follow the competition descriptions. Weaknesses: Mary Ann's Bridal Salon is a very poorly run retail outlet featuring old and outdated stock off the rack. Most merchandise is sold "as is." This shop experiences almost no repeat business and is generally thought of as the last place to go for bridal and prom needs. Strengths: Mary Ann's has been in business for 40 years (although there have been three different owners). Old warehoused stock originally priced at $500.00 to $1000.00 is bought from other shops and sold at attractive prices of $350.00 to $500.00. Service: Megan's Bridal Boutique will be a cleaner, more attractively designed store offering a variety of guaranteed services at reasonable prices, or in some cases, free services. For example, Mary Ann's charges $8.00 to dye shoes purchased in the store and $15.00 to dye shoes purchased elsewhere. A dye job takes about five minutes. I will dye my shoes for free and charge $5.00 to dye shoes purchased elsewhere. Although Mary Ann's provides skilled seamstresses for the alterations, pricing is set by the owner on a per dress basis. A client may be told at the time of purchase her alterations will cost $25.00, only to discover upon picking up the dress that the charge is $50.00. Worse yet, many clients are never told there is a charge at all. Megan's Bridal Boutique will have a published list of charges provided at the time a purchase decision is being made. There will be no surprises, and the client will know exactly how much to budget for her total expenses. Mary Ann's also has a problem getting special orders in the store in a timely manner. All special orders are delivered COD and often the cash is not available, resulting in returns and re-orders. Many suppliers will not deliver until prior problems are reconciled, again resulting in delays. I have found most suppliers have liberal terms and are very willing to work with new accounts. It is only after payment problems occur, and are not resolved, that these shipping problems take place. Megan's Bridal Boutique will be able to get special orders in the store and to the client in a more timely manner by establishing and maintaining good terms with all suppliers. Pricing: Mary Ann's's pricing has always been high. The idea on management's part has been to price everything high, then offer a "special deal." Megan's Bridal Boutique's pricing will be more modest and clients will know they can find value everyday. I will accomplish this by working with the lower-priced suppliers while maintaining healthy profit margins. The question of course is, why doesn't Mary Ann's do this already? The following scenario will provide an explanation: Mary Ann's used to buy shoes from Supplier A for $12, marking them up to $25. After numerous payment problems, Supplier A refused to deal further with Mary Ann's. Next, Mary Ann's found Supplier B who wholesaled the same shoe for $15. 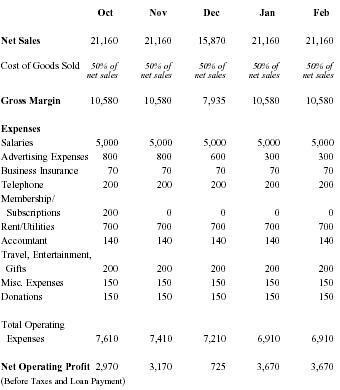 Mary Ann's maintained the selling price of $25 resulting in profit erosion. After the same payment problems occurred with Supplier B, Mary Ann's moved onto Supplier C which charged $17 for the same shoe. This time the cost was passed onto the customer. The shoes are now priced at $33 plus $8 for dyeing. 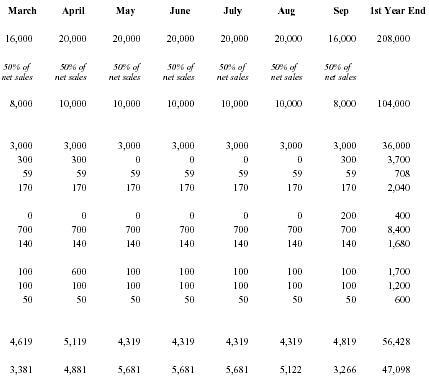 Of course sales have dropped off significantly. This is just one specific example. The same type of thing has happened with dozens of other suppliers covering all lines offered by Mary Ann's. I have already established contact with the "Supplier A" types and will be offering these lower priced, good quality lines. Stock: Mary Ann's's stock is old and outdated. In fact, I am asked several times per week if Mary Ann's is a used clothing store (these inquiries were made to me while I was an employee there). Megan's Bridal Boutique's stock will be fresh and new. As stock ages, it will be discounted. If still not sold, it will be taken off the rack and stored, until sidewalk sales, and then the price will be drastically slashed. Anything left after that will be donated to charity or destroyed. Weaknesses: Poor management makes shopping at Appleton Bridals a difficult experience. Customers are treated as a bother instead of as an opportunity. Because of the location, most area people assume the prices are considerably higher in general. Actually, their pricing structure is about the same as other shops in the area and they carry the same lines. Strengths: Location. Appleton Bridals can draw very easily from Green Bay and Oshkosh because of the proximity. Clients from all over eastern Wisconsin will travel to this shop based on the location alone. The town of Appleton has an excellent reputation for being a place to shop for variety and most people will expect Appleton Bridals to be a well run establishment with good selection, but with higher prices. Megan's Bridal Boutique's reputation for good prices and excellent service, as well as a regional advertising plan, will draw many clients away from this shop. Weaknesses: Poor sales techniques, lackluster stock, and ugly displays explain why people will travel all over Wisconsin to shop for their bridal needs instead of spending their money at White Bird. The general atmosphere in this shop would be fine for a discount store or a warehouse, but not for a shop which sells women's clothing for special occasions. 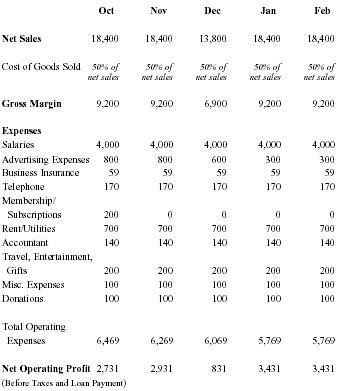 The pricing structure is similar to other bridal shops and offers no real advantage for clients. Strengths: The Apple Blossom is also a flower shop specializing in bridal arrangements. The advantage to this is increased traffic, but it also adds to the junky atmosphere. The Apple Blossom also spends a considerable amount of money on TV advertising during the prom season. Weaknesses: This store is very difficult to shop in due to the way the dresses are literally packed into one place. I found it hard to pull even one dress out to examine and the poor lighting made it even more difficult to see what I had my hands on. The prices were average and the displays nonexistent. It was a chore to even get around the place. Strengths: They carried almost every line available and the sales staff was quite helpful. Although they do no advertising in this area, many potential clients from eastern Wisconsin will delay their purchasing decision until they have made the trip down to Fond du Lac, not only for wedding dresses, but even more so for prom dresses. Weaknesses: Sarah's owner recently moved to this smaller facility from a large and beautiful location. She is suffering from burnout and has cut back considerably on her inventory. She no longer has the commitment or interest in her business she once had. Strengths: This is a well-run attractive shop with standard pricing and good service. Advertising: Most of my ad dollars will be spent on small awareness-generating, space ads in nonlocal newspapers. Money will also be spent on listings in the surrounding areas, including Milwaukee's Yellow Pages and phone guides. Some radio ads will be placed during the grand opening weeks. In addition, different promotions will take place throughout the year. Description: A variety of party and less formal dresses will be offered. These dresses will appeal to the client who wants to go all out for that special occasion such as the prom, New Year's Eve, cruises, plus off-the-rack dresses for work or formal occasions will be available. The dresses will be strictly off-the-rack ranging in sizes 3-24 with the emphasis on sizes 10-18. Position in Marketplace: Green Bay offers little to the public in the way of dresses. The few women's shops currently open in town offer only a handful of casual dress styles to choose from. The majority of dress purchases made by women in Green Bay are made out of town, usually during day, or weekend-long shopping trips. Those who do not plan ahead, and find themselves in need of a lastminute outfit, are simply out of luck. Megan's Bridal Boutique will be filling a need in the community by offering a wide selection of dresses at a good price. No longer will having to "dress up" automatically mean an out-of-town shopping trip. By keeping Green Bay women in town for their dress purchases, other monies often spent on these trips will also remain in Green Bay. In addition, regional shoppers will be brought in spending their money not only at Megan's Bridal Boutique, but in other area retail establishments and restaurants as well. Client Demographics: Women, age 16-50, will travel regionally to shop for these types of dresses. The party dresses will appeal to the younger age of this market segment in general, other lines appealing of the mid to upper age range. There will be considerable crossover depending on the type of event the client is planning. Pricing Strategy: Prices will be in the low to mid range to appeal to the Wisconsin client who does not want to spend a lot on a dress she may wear only a few times at the most. These dresses will range in price from $75.00-$150.00. Cost: Start-up cost for this line will be $12,000.00 (200 dresses at $60 per dress). Competition: There are no other dress shops in the immediate area. Several retail outlets in Green Bay offer a few dresses to choose from, and only a very limited selection is available. Weaknesses: Very limited selection available. A person dress shopping in Green Bay can see all there is to see in five minutes at local dress shops since they carry only a handful of dresses which are of low quality or overpriced (respectively). Strengths: There are basically no competitor strengths in this category. Description: One full-service line will be offered which will include a variety of tuxedos (tails, double-breasted, shawl, and notch collar, as well as the popular Western style), shirts, shoes, ties, cumberbuns, and vests. Clients will be able to customize their choices with a wide variety of color-coordinating accessories. Tuxedos offer the opportunity to bring in thousands of dollars worth of business per month, while taking up only a few square feet of selling space. Client Demographics: The majority of clients for this line will not be the actual decision makers. The decision makers will be the party dates and brides who will pick out the tuxedos she wants to accessorize her outfit. The draw will be limited to Green Bay and the immediate area. Pricing Strategy: Prices will be at industry suggested retail pricing of $65.00 to $95.00 for the complete outfit. Cost: The cost to carry this line will be limited to try-on jackets at $1,000 for a selection of 10. Weaknesses: Smith's only edge over the competition in this case is purely by taking advantage of the opportunity to sell to someone who is already in a decision-making state of mind. While the client is making the wedding gown purchase, she is ripe for additional sales such as tuxedos. Once enough trust has been established for her to spend several hundred dollars on a gown, the hardest part of the sale is already complete and add-ons will be relatively easy. In addition, the floor space and initial investment needed to carry tuxedos is so small, it would be foolish not to carry the line. Strengths: This store will be tough to compete with for several reasons. For one, it's a store carrying men's clothing and, in general, men will feel more comfortable walking into this shop than a dress shop. The reputation and prices are also very good. 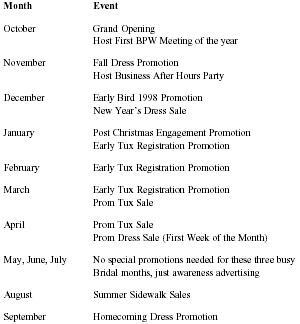 Almost every month the business will feature a special event or some type of sale. Window and store front displays will promote the event, as well as a few small local space ads and more frequent non-local space ads. For a real big event, radio will be used to strengthen the promotion. Listed below is an event calendar for the first year. 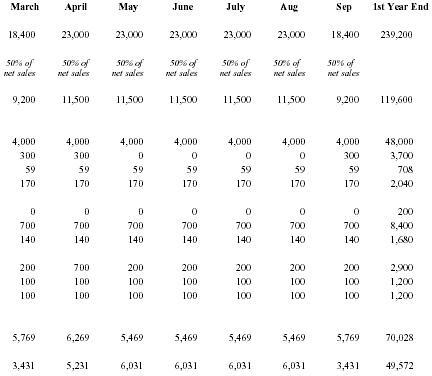 Each promotion will be evaluated and the following year's plan will be based on the successes of prior events. Each year several new ideas will be tried as well. After a year of doing business, some samples will be old and no longer re-orderable. These items will be significantly discounted and sold off the rack as is. The stock will be honed to increase profitability. Research will be conducted to determine what is selling best, most profitable price points, etc. Client surveys will be conducted. After a wedding, brides will be contacted and asked about the quality of the service, product, and selection. This information will be used to improve the shop and help me determine where to increase my efforts. At the end of the third year, I plan to purchase my own building and expand the business to offer a larger selection. At this time, the number of employees will be at least six full-time. Nine years experience in multiple-media marketing. Five years management experience in Chicago firms, running each product line as an independent entity. Additional two years in management at manufacturing facility. Extremely well organized and self motivating. Committed to producing results above and beyond what is expected, through good management of resources and sound decision-making abilities. Works very well with people and is generally liked by clients and co-workers alike. 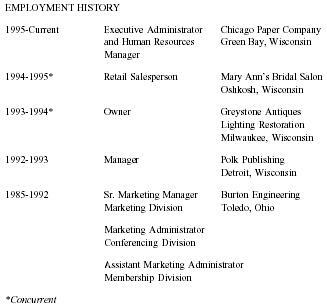 Two years experience as executive administrator to the president at Chicago Paper Company, wearing many hats including human resources manager, collections manager, and public relations coordinator. Set sales records for 75% of product lines which fell within responsibility at Burton Engineering. Developed new markets for multiple product lines. Proven successful at new product research and development. 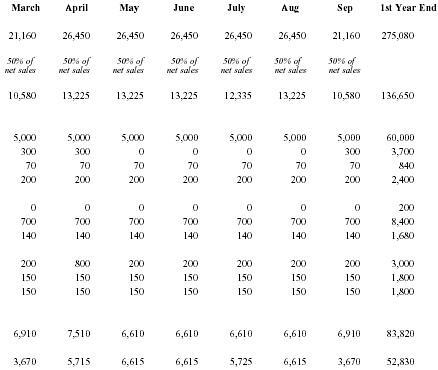 Product manager for one company's flagship line, increasing sales by 25% while reducing expenses by 30% over two years. Coordinated all marketing and logistic efforts for 110 educational seminars per year (Burton). Originated and implemented new marketing strategies which bolstered sales of aging product line. Designed, coordinated, produced, and distributed the company's four 64-page catalogs per year at Burton. Successfully sold and distributed $6,000.00 worth of technical training programs through direct mail marketing techniques. Five years of success in marketing management. Two years management in manufacturing environment. Completely implemented new 401K program with 94% sign-up rate. Developed, implemented, and continue to manage collections program for multi-million dollar manufacturing facility. Created, implemented, and continue to manage review system for production employees. Proven success as skilled, multi-faceted, and valuable employee (increased salary from $13,520 to $41,100 in two years). Developed and implemented effective cost-cutting measures which streamlined operations and improved productivity. Represented the organization at company-sponsored conferences throughout the United States and acted as the Italian liaison. Coordinated and supervised multiple interdepartmental products. Responsible for marketing department's strategic planning and implementation including all facets of annual budget management. Developed ideas for creating new business throughout the company. Prioritized work projects within the department: designed and implemented follow-up procedures which resulted in more efficient and profitable workflow. Interviewed and hired top-notch marketing and administrative staff. Currently responsible for all aspects of hiring at every level at Chicago Paper Company. 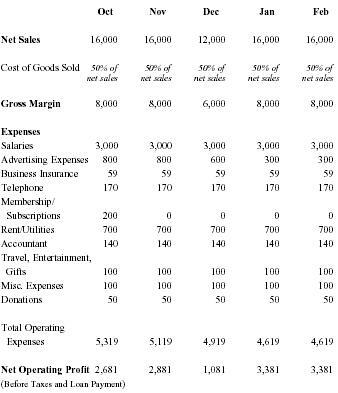 Attached, please find the information we discussed in our meeting last week, specifically the cash flow analysis, statement of income and expenses for three years, personal financial statement, and balance sheet for my proposed business, Megan's Bridal Boutique. 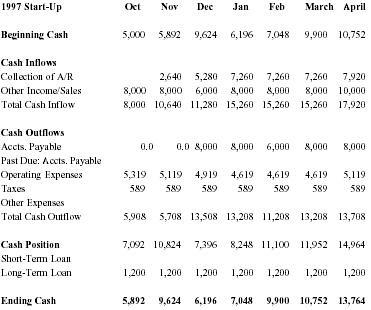 I am requesting a loan in the amount of $65,000.00 to cover start-up inventory, office and shop expenses, and $5,000.00 working capital for my shop. The business will be wholly owned by me as an individual proprietorship and I plan to run it myself, with the help of one full-time assistant, who will also do the alterations. When the shop is fully established (approximately 3-5 years), it could employ up to six full-time employees at various skill levels. I have access to $5,000.00 cash and my mother is willing to give me property, valued at approximately $35,000.00 to use as collateral. I also have $3,700.00 in equipment. I would like to discuss this proposal further with you, prior to your board meeting next week. I can be reached at 616-628-1234. As we discussed, this project must remain confidential as I would have to leave Chicago Paper Company to pursue my dream of owning my own business. I wouldn't want to jeopardize the wonderful relationship I have with my boss if this project fails to get off the ground. This page left intentionally blank to accommodate tabular material following.